Marijuana | Building A Safer Evansville, Inc. Marijuana is a common drug made of dried stems, seeds, and leaves from the Cannabis sativa plant. THC, the main active chemical, moves throughout the body when taken in. It runs through the bloodstream and into the brains and organs. This drug can be addictive just like all other drugs. It affects the brain’s reward system in the same way as all other drugs of addiction. A person who starts to smoke marijuana at a young age will be more likely to become addicted. Marijuana can also have possible effects on your cognitive development, irritation to the lungs, and respiratory problems such as daily coughing or phlegm production. Marijuana also impairs coordination and judgement. It can lead to automobile accidents especially if used with alcohol or another substance. What are other common names for the drug? 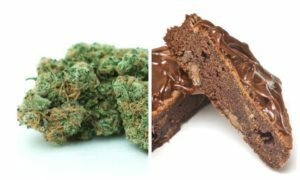 Marijuana edibles, which frequently look and taste no different from substance-free sweets and baked goods, may be especially tempting to kids seeking something to eat. According to the Center on Addiction, between 2006 and 2013, the rate of marijuana exposures among children aged five and younger increased by 148 percent. Moreover, the number of young children accidentally exposed to marijuana increased every year from 2013 through 2016. Despite their ordinary appearance, a single pot cookie or candy bar can contain several times the recommended adult dose of THC. Anyone who eats one of these edibles—especially a child—can experience overdose effects such as intoxication, altered perception, anxiety, panic, paranoia, dizziness, weakness, slurred speech, poor coordination, apnea, and heart problems. 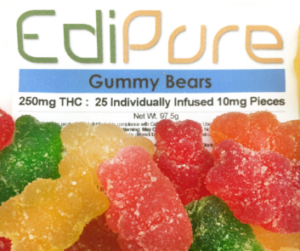 Edible marijuana products take longer than smoked marijuana to have an effect—usually 30-60 minutes after being eaten and absorbed by the digestive system; with the peak effect 3-4 hours after being eaten. Someone experimenting with marijuana edibles might not feel the effects as quickly as expected and eat large amounts in an attempt to “get high.” This leads to overdosing.